Sign up for an account at the Amazon Web Services Site or login there. Setup your connection key and secret by clicking your name in the top right and from the drop down select My Security Credentials. 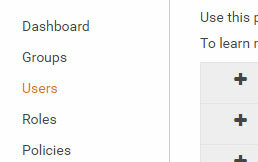 Select Users from the left menu of the AWS Dashboard. Click Add User from the top left of the users panel. Setup User Details you can enter any user name here, but MUST check the Programmatic access box. Click Create Group in the middle of the screen. 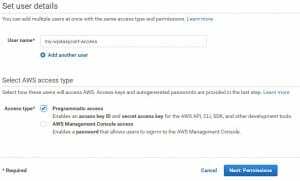 We want to setup a group so that the permissions of your key are as secure as possible and prevent unauthorized access within your AWS account. 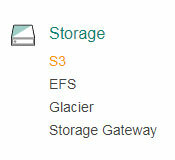 Setup Your Group by entering any group name and selecting ONLY the AmazonS3ReadOnlyAccess from the policy list. Click Create group once you have selected this option. Click Create user to complete the user setup. Set Properties – nothing needed here unless you feel these properties will help you with your system (optional), click next in most cases. 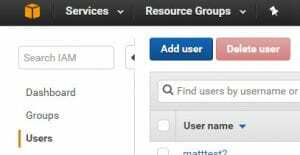 Set Permissions – The default permissions are correct. Important that the owner has Read/Write and your public permissions are set to ‘Do not grant public read access to this bucket (Recommended)’ and system properties to ‘Do not grant Amazon S3 Log Delivery group write access to this bucket’. Keep in mind although we have NO public access, the security we setup previously will allow the cart to access and provide the file to users that purchase your download. 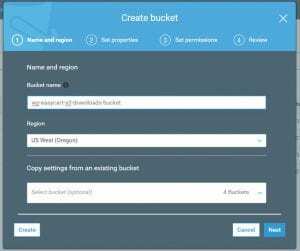 Create Bucket – Click create bucket to finish setup. 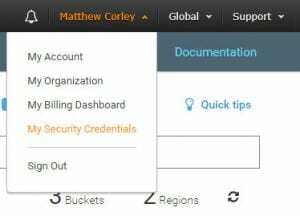 Return to the WP EasyCart Settings and add your Key, Secret, Bucket, and Bucket Region to your system settings. This is found in the WP EasyCart -> Settings -> Third Party. That’s it! You can now upload your downloadable goods to your new bucket. Read below for more info on adding/uploading files. Navigate to your bucket by clicking the bucket name in the list of buckets. If you just created the bucket then you are already there. Click the Upload button (do not create a folder for WP EasyCart files, this may cause issues on the product setup side in EasyCart). Click Add Files and select the files you wish to upload. Once you add those files, just click next. Set Permissions – You do not need to do anything here, the default settings are correct! The Owner should have read/write permissions and public permissions are set to ‘Do not grant public read access to this object(s) (Recommended)’. This is important so that the public does not access your files without first purchasing. EasyCart uses your security credentials to provide access to the appropriate files after purchase. Set Properties – This is up to you, but standard and none should be fine and click next to continue. Review – Click upload if you are happy with the settings. That’s it! Now your uploads will be available for you to choose in the product setup. Read more below to see how to make the connection. You can create or edit any product and navigate to the ‘Download Options’ section. 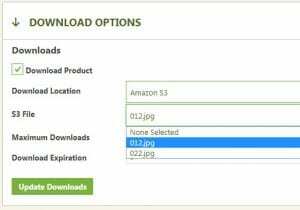 In this section, choose Download Product, Download Location is Amazon S3, and you can choose any file from the S3 File box that is in the bucket you have setup. If your setup is wrong, it will have an error in this area and you will need to correct the setup to fix this issue. You can get information about setting up a downloadable product by visiting here and reading about downloadable products in the administration console.